Less than a year after snapping up Washington's Seven Hills Winery for $5.75 million, Crimson Wine Group has purchased a significant part of the Walla Walla Valley vineyard that Seven Hills founder Casey McClellan planted. Crimson, a California-based wine firm, bought Seven Hills Vineyard from Premiere Partners IV, an investment group with multiple properties in the northwest. The deal includes 109 acres of land on the Oregon side of the border, with 52 of those acres under vine. A separate 14-acre vineyard in The Rocks District of Milton-Freewater was also included in the sale. The price was not disclosed. 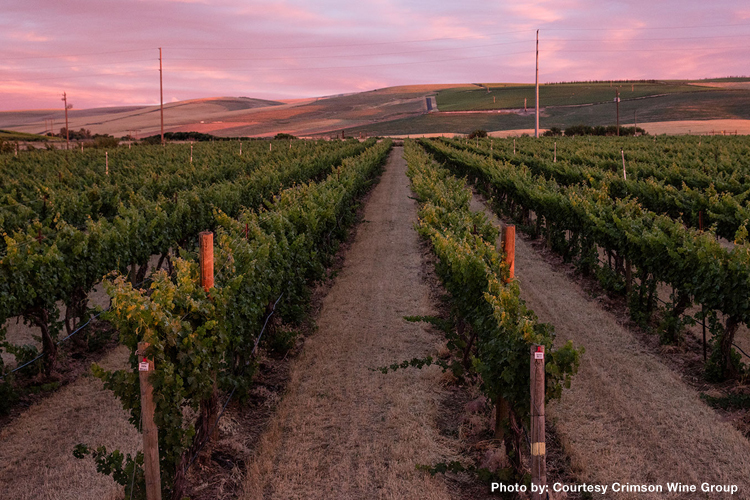 With some of the oldest vines in the Walla Walla Valley, Seven Hills Vineyard is a source of single-vineyard wines for more than a dozen wineries. Located on a north-facing slope at an elevation ranging from 850 to 1,050 feet, the vineyard stretches across more than 200 acres, planted mostly with Bordeaux varieties.